Monochromatic spaces never cease to make my little designer heart skip a beat. Now don’t get me wrong, I am a lover of color and pattern mixing, but there is something about a crisp white space that carries a calming feeling along with it! With layered elements of texture, metal mixing , and varied tones within pattern and finishes- a monochromatic space will forever stand the test of time with your ever evolving life! We are excited to share a new custom kitchen we have in the design works for one of our new client’s future home. The lighting tells a beautiful story from the pendants layered over the icy gray quartz island, to the brass and crystal chandelier hoisted above the families dining table. These elements paired with the striking hand painted terracotta backsplash bringing pattern and play into an already gorgeous space. Anchoring all this beauty with soft white toned perimeter cabinetry and a gray washed island. The parquet flooring is the icing on the cake. Worried about being too trendy….. Fear not, this classic pattern will never go out of style! 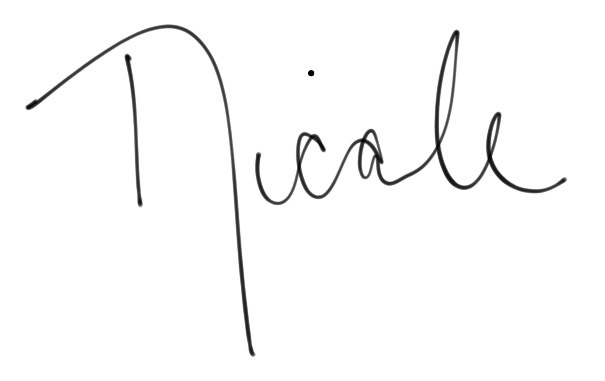 It's me, Nicole! Here to help with some countertop pros and cons of all these beautiful materials mother nature provides us, and some amazing engineered ones which have many people turning their heads in disbelief! Pro Tip: Want the look of marble without the maintenance?? Look no further! Granite comes from the process of crystallization of magma below Earth's surface. In short your countertop was flowing molten lava at some point! This helps to explain the density of the product and why there are so many variations of movement and color within granite to pick from! Pro Tip: Most cost effective option when considering a natural stone. Normally the more clean looking the higher the price will be. Con: Can tend to lean a bit busy, therefore consider picking a more subtle backsplash tile when working with a granite. The beauty and warmth this natural element provides is a favorite of mine. Wood is sure to compliment any solid surface paired with it. With its rich hues and ability to manipulate the intensity of the finish, this application is an art piece all on its own! Pro Tip: Excellent work space for the chef in you! Wood is very forgiving on cutlery, but dents and scratches can occur in the wood during constant use. I personally love the character and story it creates. ...I'll just be over here swooning all day, everyday over this beautiful stone. The movement, and colors the earth produces will never cease to amaze me. For centuries some of the most beautiful sculptures and structures have been made with marble. Indoor, Outdoor, on floors, ceilings, and walls! So when people ask "can I use this on my counter?" My answer always is ,"of course you can!!!" I know what you're thinking- "yeah, but i will also become a slave to it," and my answer is of course you will haha! BUT, here are some tips to help you along the way! Pro Tip: Sealing is your best friend .... for life! Pro Tip: To help remove stubborn stains use a poultice paste, and thank me later! I hope after reading this you are a bit more confident the next time you are out selecting countertops! I'm sure I'll hop back on here soon and we can talk about some materials which are not as commonly used! Hey there, Nicole here… resident tile guru! This week we are diving into monochromatic spaces. A look at the simplistic yet stunning impact a bit of tone on tone action can achieve. Hold on to your seats, because things are about to get beautiful! 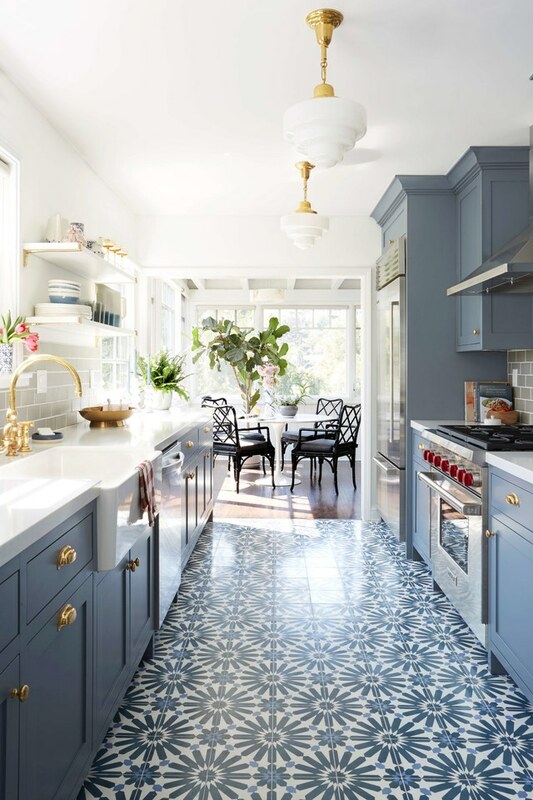 Have you ever seen a kitchen and your eyes went straight to the backsplash, walked into a small powder room and awed at the patterned floor, or stepped into a shower that was immersed in natural stone. That my friends is what I like to call tile heaven. In our recent outdoor kitchen project, we used this glass mosaic backsplash which has plenty of unique characteristics. The shade and surface texture of the backsplash helps each piece to truly stand out and offers plenty of visual interest with its color variation and pattern play. Handpainted terra-cotta tile will aways hold a special place in my heart. Dressing up stair risers with these ornate details in an array of blues is a great way to pull color and fun throughout the space. The mixture of elements in these space makes it nothing less than magical. 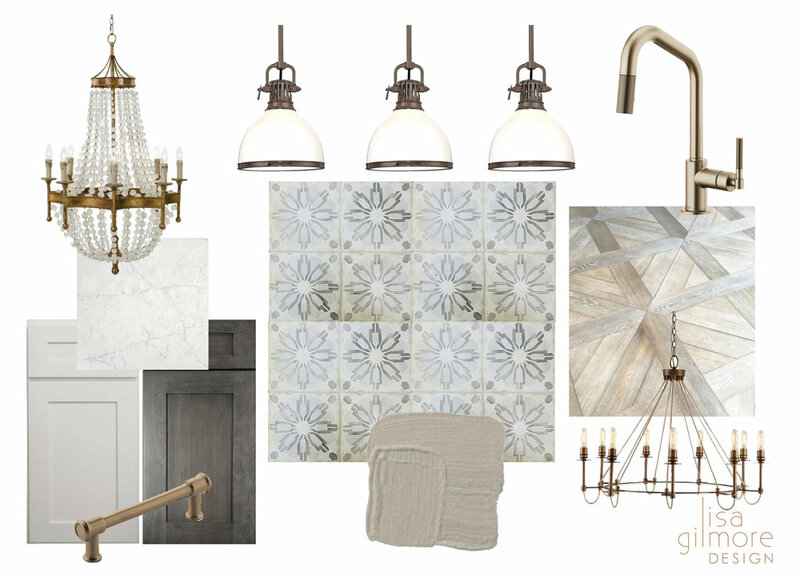 Incorporating cement tile, ceramic, and metals. Yes Please! 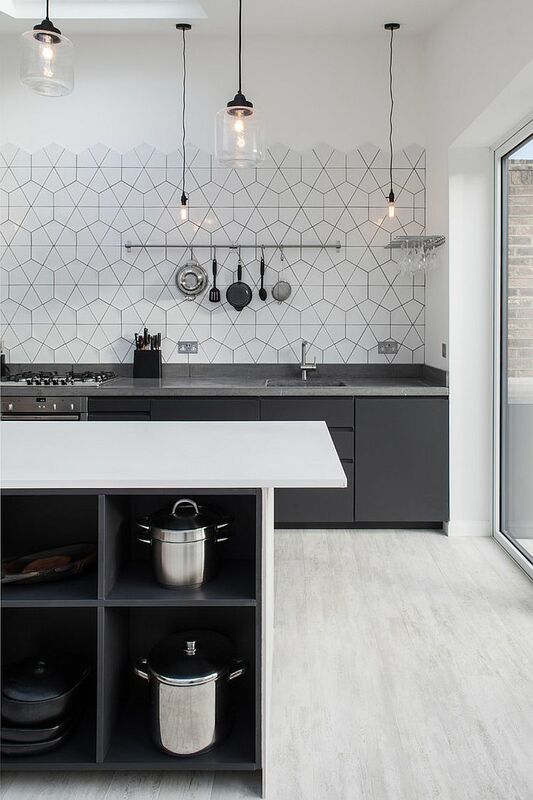 This installation of large format tile and using the natural edge to finish off the design gives an organic feel to the space and high visual impact. 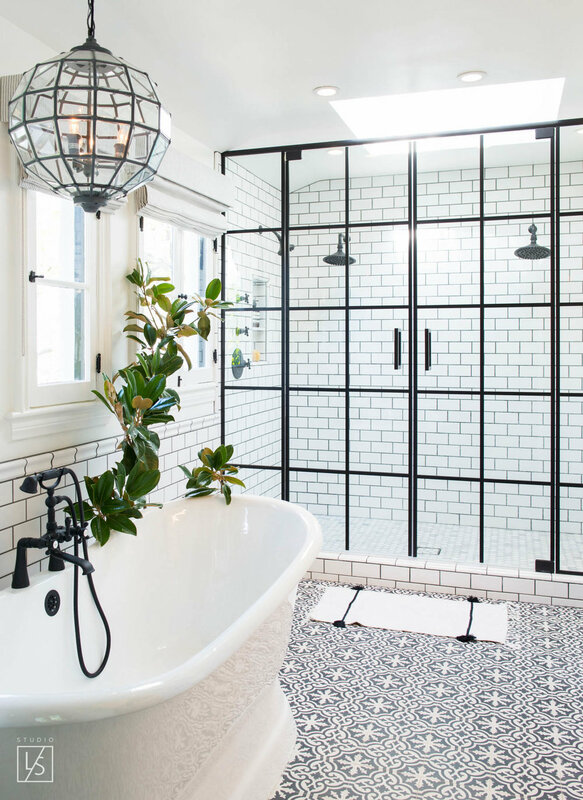 Quality tile is a true investment in your home and allows a curated space to come together. Its all in the details and these monochromatic gems will remain classic, and are versatile enough to incorporate pops of color when the time is right!